Matrical Squirt SQT 500 Ver. 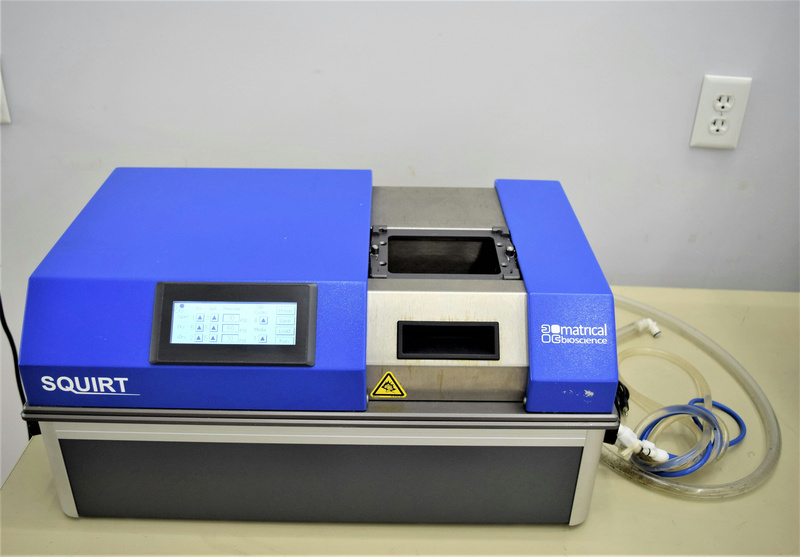 7.04 Multi-Format Universal Microplate Washer . New Life Scientific, Inc.
New Life Scientific technicians tested and evaluated this unit and confirmed that it is in good working condition. Testing the cleaning action, several microplates were washed in the system with distilled water. The fluid flowed through the line well, the jets are clean and the motor rails were recentrly greased. This Squirt comes with hoses for one bottle and a connected waste line. This product is in good cosmetic condition.